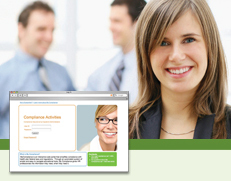 Compliancedashboard gives you all the information you need in one easy-to-manage website. Help you employees save tax dollars, while saving the matching tax dollars for your company. Our in-house Flexible Spending Account Administration coordinates with all other benefit administration offerings. It has become increasingly difficult to stay compliant with all of the changes in the legislative environment. With our in-house COBRA administration at Sachs Insurance, you can ensure you stay compliant. The Sachs Insurance administrative staff can remove the burden from your HR and finance department of making sure you are being billed correctly by your insurance carrier. Through this service, you can be sent one simple invoice per month for all of your benefit administration and insurance carrier coverages. Sachs Insurance will then take care of service provider payments. As a client of Sachs Insurance, you will have access to one of the most cutting edge and comprehensive benefits and HR libraries in the marketplace. Through our site, you can access State and Federal HR and benefits laws and regulations.Our award-winning Human Resource and Benefits library features easy-to understand and navigate HR and employee benefits content. 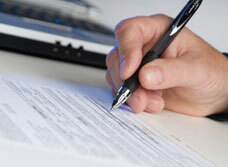 You will also have access to ‘Ask the Experts’ and hundreds of forms. A HRA can be a very effective tool to use in designing a consumer driven health plan, or in delivering tax-free incentives to your employees for participating in a company wellness program. Many companies who have retiree benefits find it cumbersome to service and administrate those plans. Sachs Insurance provides our clients with a turn-key solution to all of their retiree benefit needs including retiree billing and service.